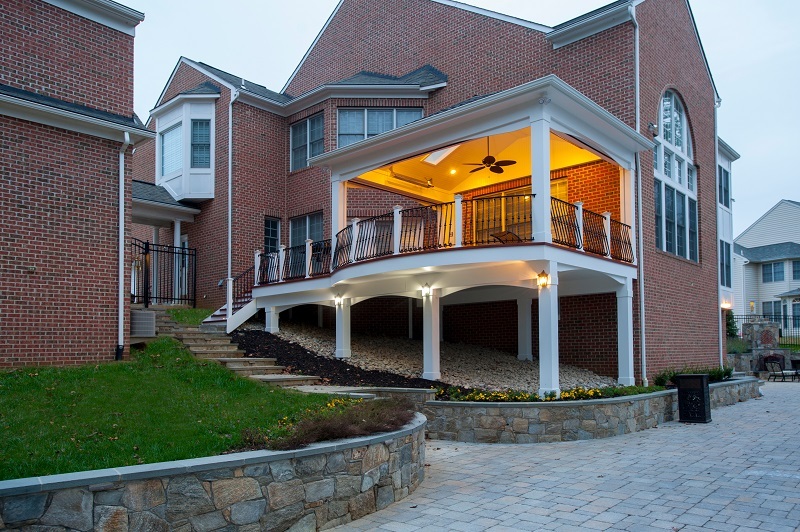 Premium Zuri decking and wrought iron handrails are just two of the many features that make this Bowie, Maryland screened porch so unique. 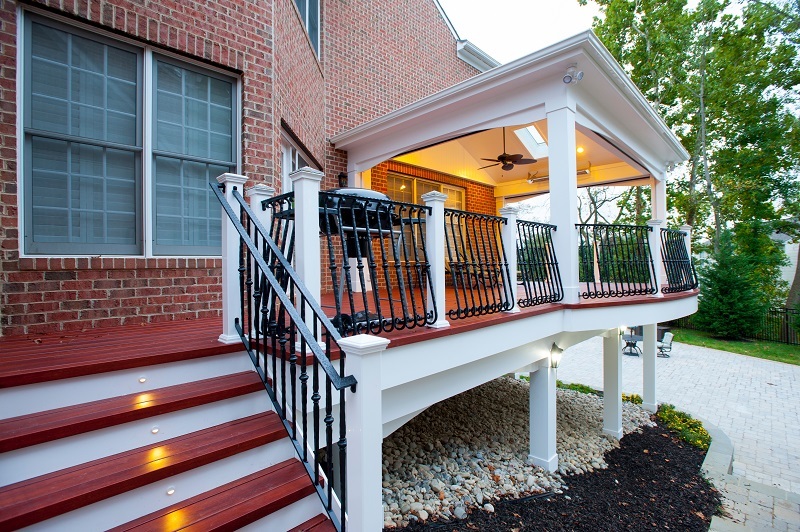 Developed in a close-quarters community with large single family homes, it utilizes black railings that curve outwards along a rounded deck profile to enhance the sense of space one gets when on top of the deck or inside the porch. 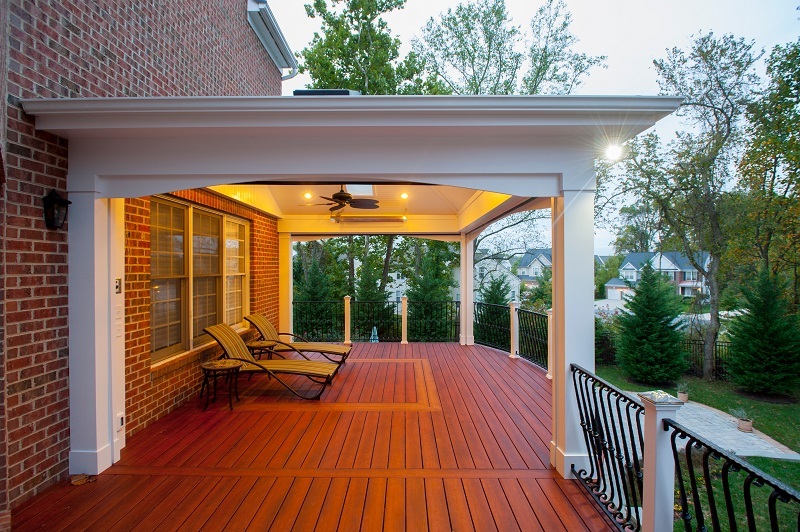 The decking itself is shaped to the contours of the property limits. Motorized retractable screens by Phantom Screens turn the Zuri deck into a fully-enclosed, bug-free seating area for outdoor entertainment at the push of a button. 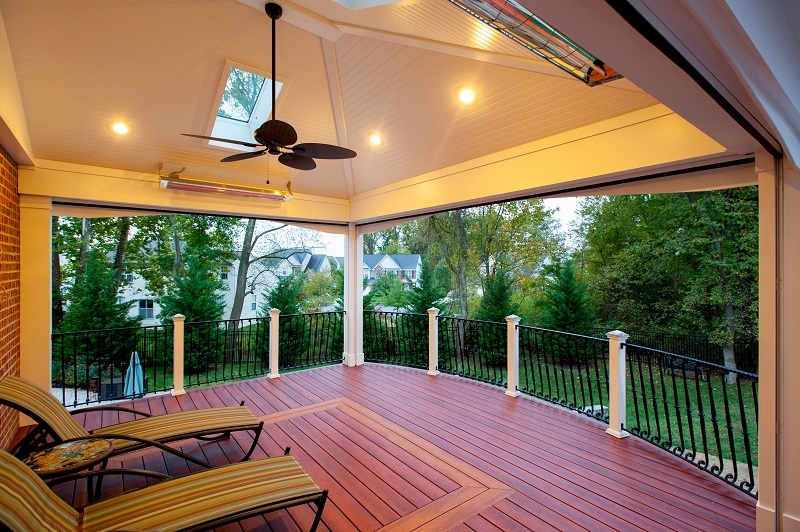 However, to achieve the versatility of a true four seasons outdoor living space, an outdoor fan and multiple infrared heaters were unobtrusively installed to the porch's ceiling as well. 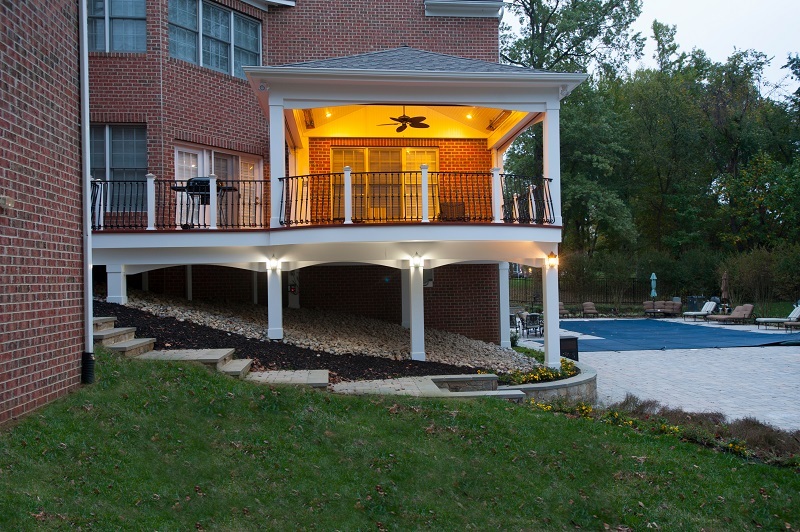 An army of lighting elements ensure that this deck can be used at any time of day. 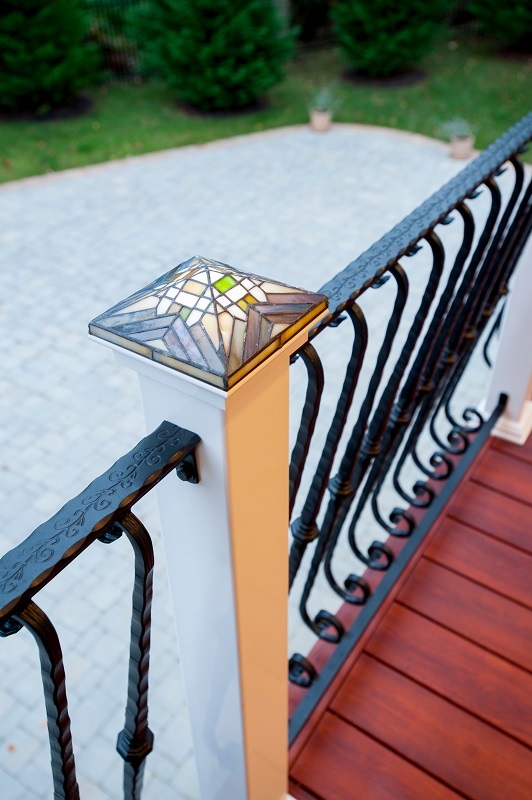 Multiple skylights allow light into the screen room during the day, while sconce lighting, mounted pillar fixtures, ceiling lights, and illuminated stained glass railing heads provide visibility on even the darkest nights.